Howdy! 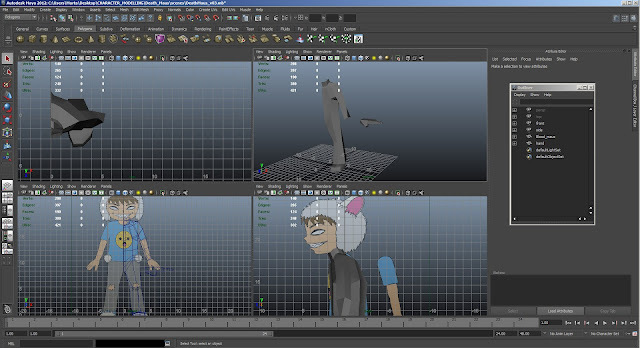 This is a screen shot of me modelling one of my designs in Maya for this assessment. That said, the main assessment is going to be a test though. Scary stuff. Anyhoo, no time to draw tonight got to keep cracking on it. This character isn't going to model itself.